8Ball follows up his last mixtape, "Premro" with the second installment. This one features Trinidad James, Gucci Mane, Young Dolph and more. 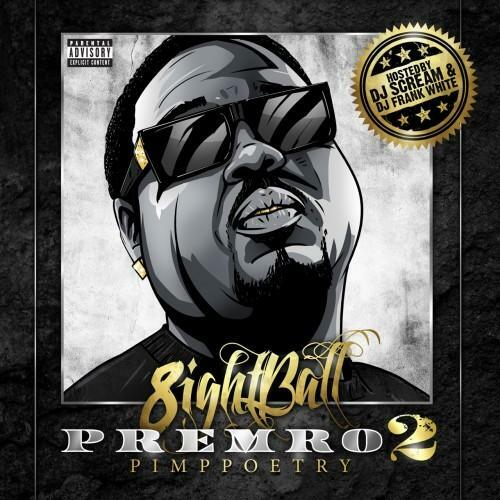 Bump Premro 2, the latest mixtape from 8Ball, which dropped on Friday, January 25th, 2013. 8Ball's horizons are broadening with each new release, and Premro 2 is no exception. It's a worthy addition to a catalogue that has seen much growth since 8Ball stepped foot in the rap game. We're looking forward to hearing more. These artists are featured on the project: Trinidad James, Young Dolph, B Hav, Gucci Mane, GK Hooks, Cheeto Gambine, Singha, Drumma Boy Fresh. The following producers soundtracked the mixtape: TRPMSTR, Joe Millionaire, KC Da Beatmonster, Flight 125, DJ Krillz, DJ London, LR For 8gm Gibbs, The Futuristiks. Hear more of 8Ball on Bigger Vision . Hit up 8Ball's profile page for the latest info, news, songs, and mixtapes. Check out 8Ball's Twitter.